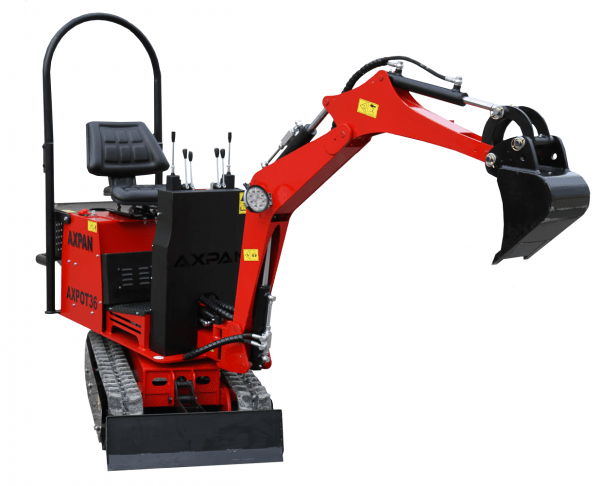 Adding to its popular line of skid steers, Axpan has announced the release of the AX36 Pro. The AX36 model benefits from an integrated oil cooling system with electric fan, deeper digging reach and LED light as standard. The skid steer track base benefits from a 6 in. ground clearance and self-tensioning 7 in. wide rubber tracks. This machine will be fitted as standard with an orange beacon light and seat belt, and an optional 14 HP Kohler gasoline engine is available. At just 1,300 lbs. the AX36 Pro represents excellent value with big performance and is targeted to professionals and private users alike.